With our very busy lifestyle, it is imperative that everyone takes vitamin supplements. Kids are no exceptions. But sometimes people are not consciously aware that our body needs the vitamins it needs. We do a lot of things in a day and we get burned out. All the more that we need to have something additional to boost our stamina and vitality and compensate for our lost energy. Many adults don't take vitamins because of laziness. When we look at the positive side of it and the benefits that taking vitamins give us, we can do this simple task diligently - not just one time, but on a regular basis. There is still a big difference for those who take vitamins and those who don't. There’s Berocca Performance, a multivitamin drink that is designed specifically for people with busy lifestyles. Berocca Performance combats physical tiredness and improves performance. I have been a Berroca user for over 13 years now. And I must say that I have trusted this brand for quite a long time because I believe in its efficacy to one's health and body. Before, I would usually take it only when I have serious cold and cough. However, I have learned that I can take Berocca everyday as a regular multivitamins. 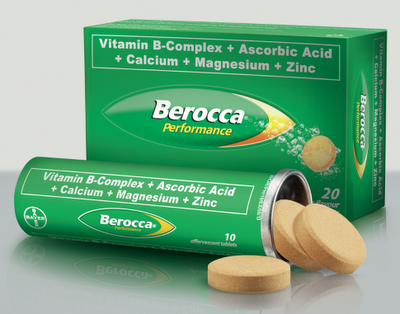 What is amazing about this product, and this I can vouch for, is that Berocca is not only just a Vitamin C supplement. 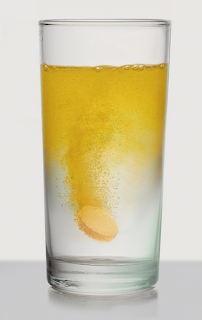 Berocca Performance has a unique combination of high doses of water soluble vitamins: Vitamin B Complex + Vitamin C + Essential Minerals (Calcium, Magnesium and Zinc). It comes in the form of effervescent tablets. Simply drop one into a cold glass of water (it is far better if water is cold), watch it fizz, and have a refreshing orange drink. Taking one on a daily basis is just like taking a bottle of soda, but unlike an unhealthy, sugar laced, hyper-acidity causing soda, a Berocca daily is a very healthy habit. It enables you to perform on full blast, and strengthens the immune system. If you haven't tried Berocca, why not not give it a try now? You can share to me your experience with this product and how it has helped you. 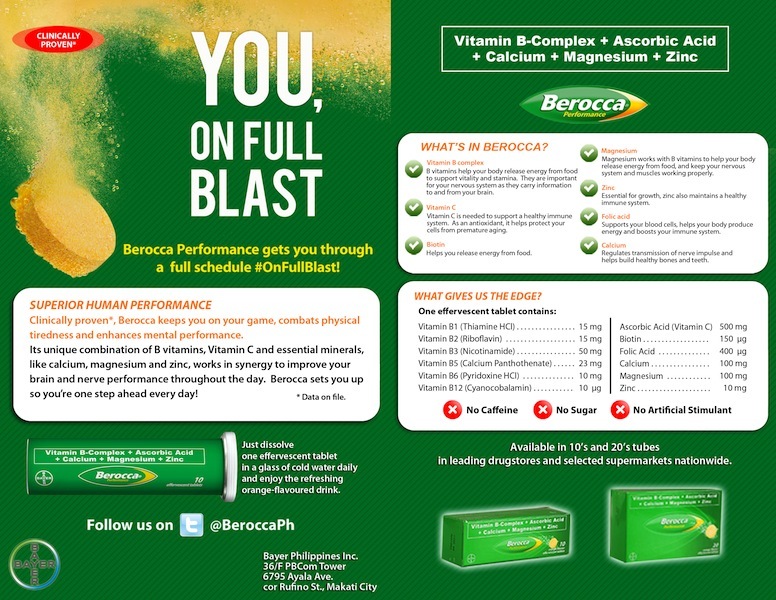 Berocca is available in drugstores and selected supermarkets nationwide.